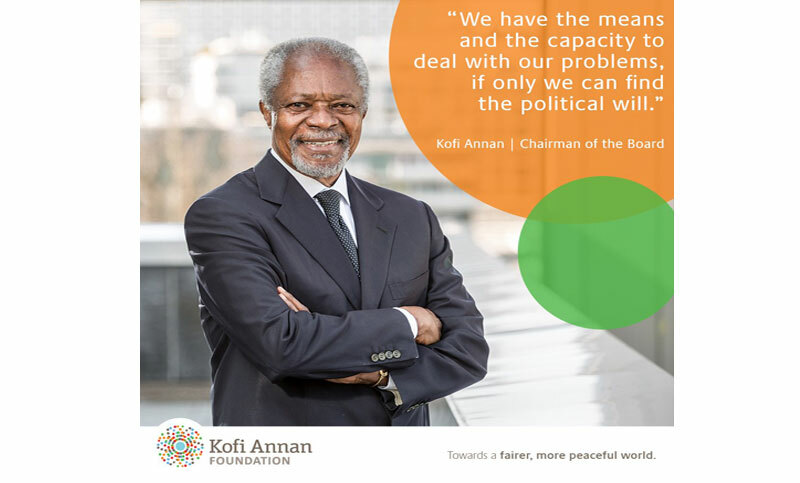 "It is with immense sadness that the Annan family and the Kofi Annan Foundation announce that Kofi Annan, former Secretary General of the United Nations and Nobel Peace Laureate, passed away peacefully on Saturday 18th August after a short illness...," Annan's Twitter account reads. At the behest of the Ministry of the Office of the State Counsellor of the Republic of the Union of Myanmar and in collaboration with the Kofi Annan Foundation, the Advisory Commission on Rakhine State was founded in September 2016 as a neutral and impartial body which aimed to propose concrete measures for improving the welfare of all people in Rakhine state. In August 2017, it presented its final report “Towards a Peaceful, Fair and Prosperous Future for the People of Rakhine”. The Commission was composed of six local and three international experts, and is chaired by Kofi Annan, according to the Commission.